The CUPE Ontario Bev Smale Scholarship Fund was established in the name of Sister Bev Smale. Bev was a long-time activist from the healthcare sector who became a staff member of our union. Following her sudden passing in 2006, members and staff alike wanted to commemorate Bev and her many contributions to CUPE in Ontario. 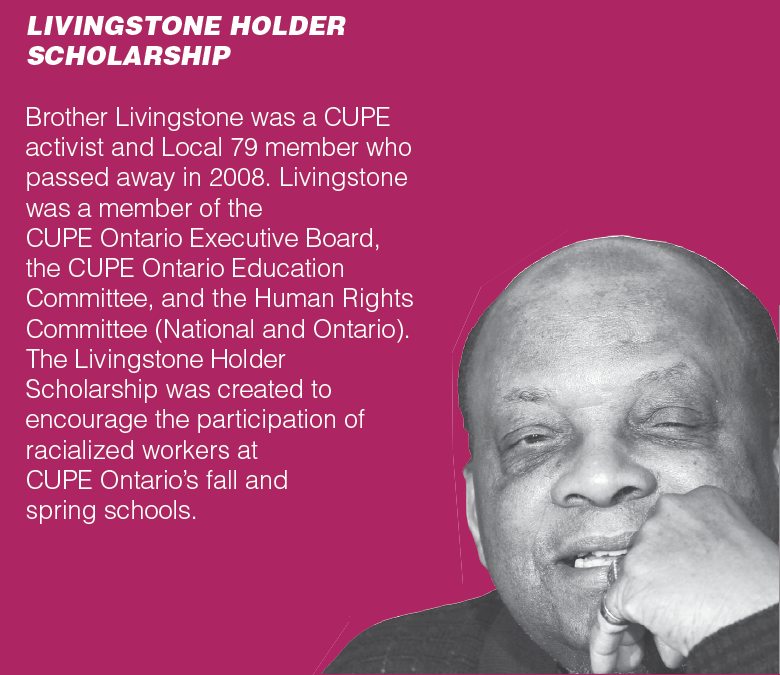 Bev’s great love was education, so it is appropriate that we remember our sister with the creation of a fund to assist and encourage workers to pursue CUPE education opportunities. 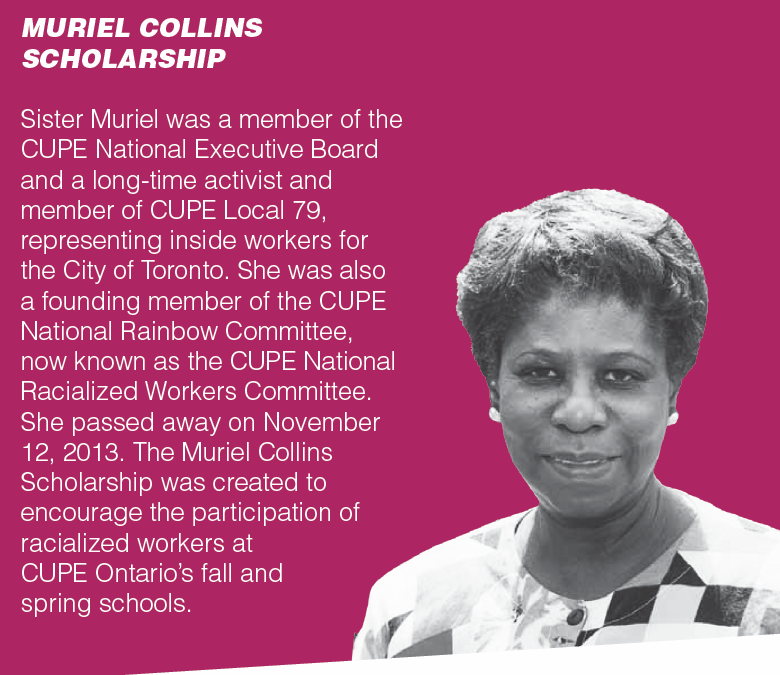 The Bev Smale scholarships are offered to members from Locals affiliated to CUPE Ontario which are in good standing. The primary focus of the scholarships is to support members pursuing and furthering education and training. Education encourages union engagement, mobilizes members to take action, and ultimately strengthens unions. Eligible members may use the Bev Smale scholarships to attend CUPE education courses. CUPE Ontario offers two schools each year, one in the spring and one in the fall. 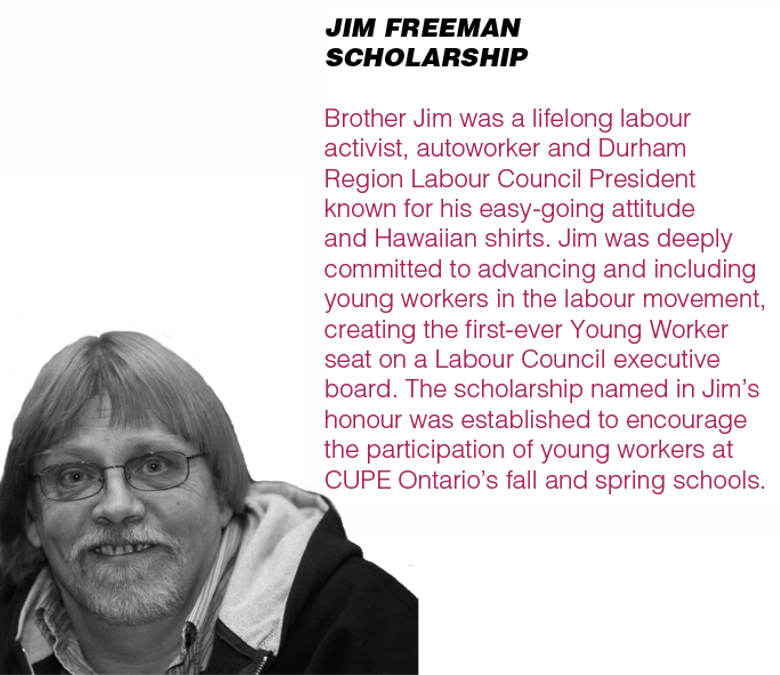 Courses offered may vary, but each link back to CUPE Ontario’s fight for fairness. Available courses include Contracting Out and Privatization, Preparing for Bargaining, Introduction to Stewarding, Workers’ Compensation, and Labour Law. In addition to the general education fund, the Bev Smale Scholarship Fund also includes internal and external scholarships created in memory of various activists from our union. 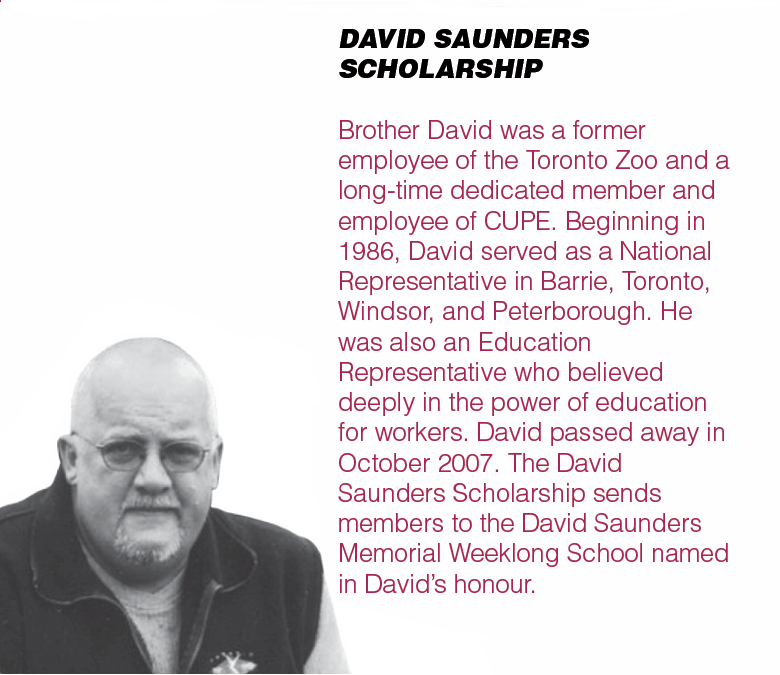 Fill out the on-line form below to send in the Bev Smale Scholarship application form, or click here to download the pamphlet which has an application form you can mail to CUPE Ontario. Once submitted, each application will be kept active until December 31st of the year in which it was completed. CUPE Ontario will communicate with all applicants either to let them know that they have been selected or to encourage unsuccessful applicants to apply again. Priority consideration is given to members from small Locals and to members from Northern Ontario. We look forward to seeing our scholarship winners at education opportunities throughout the year. How long have you held the positions in your local? What type of scholarship do you want to access? If you are applying for the Dave Saunders Weeklong Summer School, what is your course of interest? 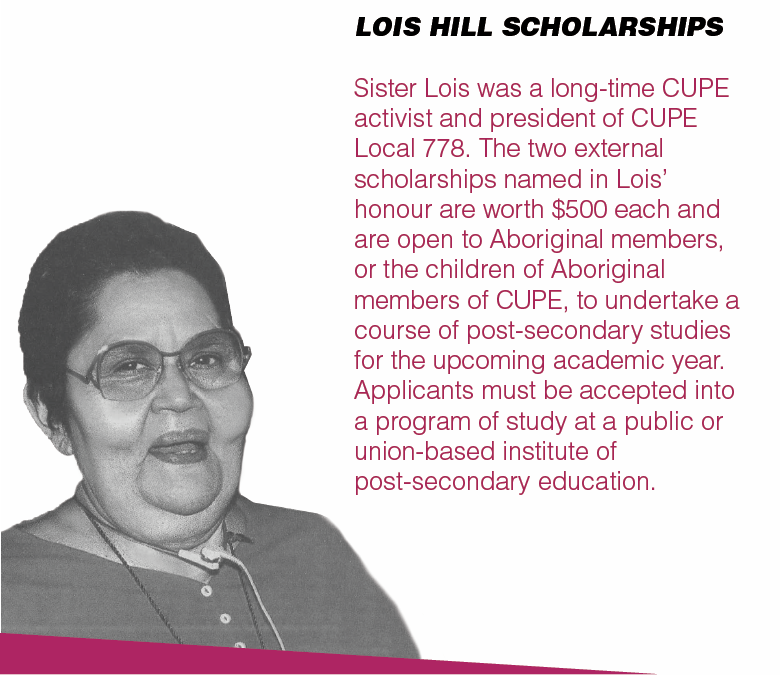 Additional materials are required to apply for the Lois Hill scholarship. Please click here.